Elmet’s 99.95% pure tungsten powders are made in the U.S.A. at our fully integrated Lewiston, Maine production facility, where Elmet has operated for over 90 years. Our tungsten powders come in a range of grades, from 1.5 micron UX to 5.0 micron UX and in special high green strength blends. Tungsten Powder. Elmet’s 99.95% pure tungsten powders are made in the U.S.A. at our fully integrated Lewiston, Maine production facility, where Elmet has operated for over 90 years. Elmet is the sole U.S. owned and operated, fully integrated producer of pure tungsten material and products. 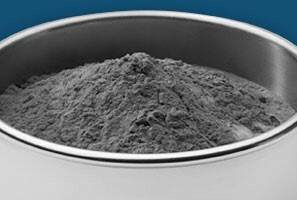 Our tungsten powders come in a range of grades, from 1.5 micron UX to 5.0 micron UX and in special high green strength blends. Elmet is ISO 9001, AS9100C and ITAR compliant.